I have a hat that nobody quite notices, and it’s the Finder of Lost Tech. Now, some people go all of their lives looking for the mystery of the pattern of the pyramids and others go looking for the Mayan civilization and how it built things, and I go looking for the tech people have lost in Dianetics and Scientology as a primary expeditionary action. Hubbard, L. R. (5 September 1971) A Talk On A Basic Qual. Hubbard was known as inter alia, a skilled hypnotist, stage magician, malingerer, and confidence trickster whose organization known as the Church of Scientology used his directives to lure people in and feed his lust for money and power. Hubbard is dead and now the Ecclesiopath is David Miscavige. The operation is called Keeping Scientology Working. 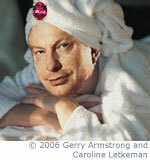 Scientology lures people in with many lies, including fraudulent claims about Hubbard. These documents contain claims and other evidence about L. Ron Hubbard, Scientology’s “Source,” his background, credentials, research, sources, etc.